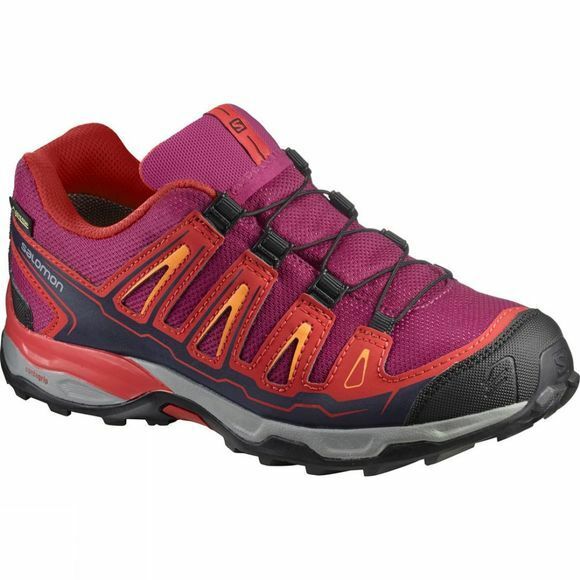 Designed for moving fast on technical trails, the Kid's X-Ultra GTX Shoe has an aggressive tread, full Gore-Tex membrane and softer midsole that works great for kids. Light, rugged, and exceptionally comfortable, the X-Ultra GTX is a big-time performer for smaller feet. Contagrip outsole designed for wet or dry traction on technical terrain, with deep lugs and multi-directional chevron pattern. Gore-Tex bootie delivers breathable waterproofing for year round climate comfort. 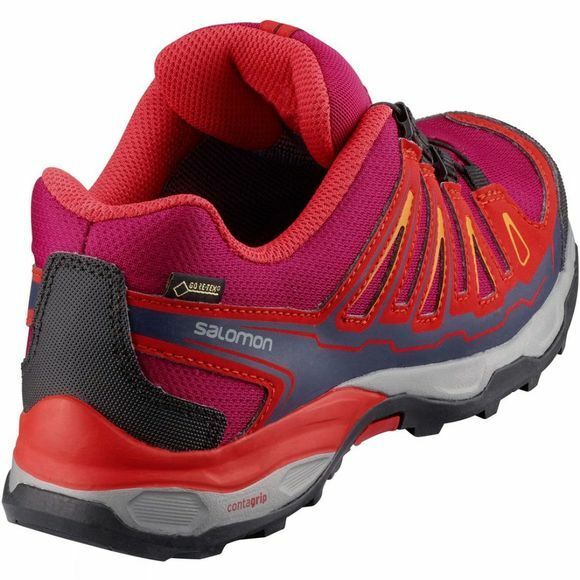 Lightweight construction and low-cut design keep the weight down so kids can keep hiking up.